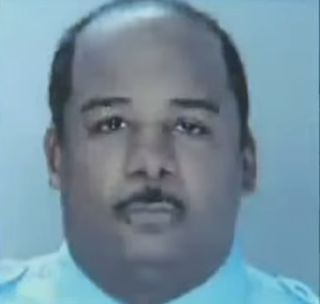 Jeffrey Walker, a 24-year veteran of the Philadelphia Police Department, has admitted to committing “thousands” of crimes. The disgraced former narcotics investigator also has testified against six members of his undercover unit in a federal corruption trial, the Associated Press reports. The FBI caught Walker in a sting operation. He began cooperating with federal investigators shortly after his arrest in 2013. Once in federal custody, the rogue cop identified 20 questionable drug busts and illegal activities of his former unit, according to the Philadelphia Inquirer. Walker told a federal jury Wednesday that the Narcotics Field Unit made big drug busts that pleased supervisors, who asked few questions about the team’s tactics. According to Walker, the unit stole drugs and money, planted evidence and routinely beat up suspects to obtain information, the AP reports. The unit’s leader, Thomas Liciardello, allegedly directed the team to target “white boys, college-boy types, [who wear] khaki pants,” because they were easier to intimidate, Walker alleged. Walker, who is 46 and black, said the other team members began slowly pushing him out the unit in 2009. They partnered him with the only other black officer in the unit and later sent Walker on patrol by himself. But things became totally unraveled when Walker testified against Liciardello in an internal police investigation. Federal authorities arrested the six officers last summer on charges that include robbery, extortion and drug dealing. They deny Walker’s allegations. According to the AP, the courts have overturned at least 160 convictions since Walker’s arrest in 2013. Scores of civil rights lawsuits have been filed, but are on hold while the six former officers defend federal racketeering charges. Read more at the Associated Press and the Philadelphia Inquirer.